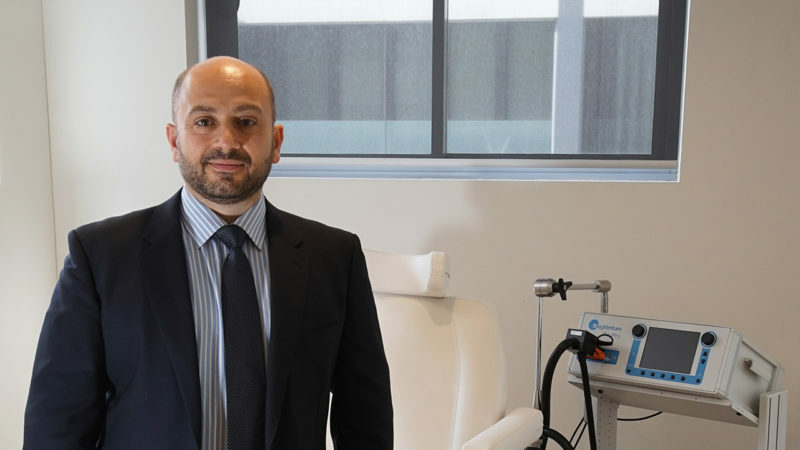 The outskirts of Melbourne is experiencing significant population growth over the next 10 years and Northern Health has taken preemptive steps to ensure the supply of new talented healthcare staff as well as develop the culture of the workplace. 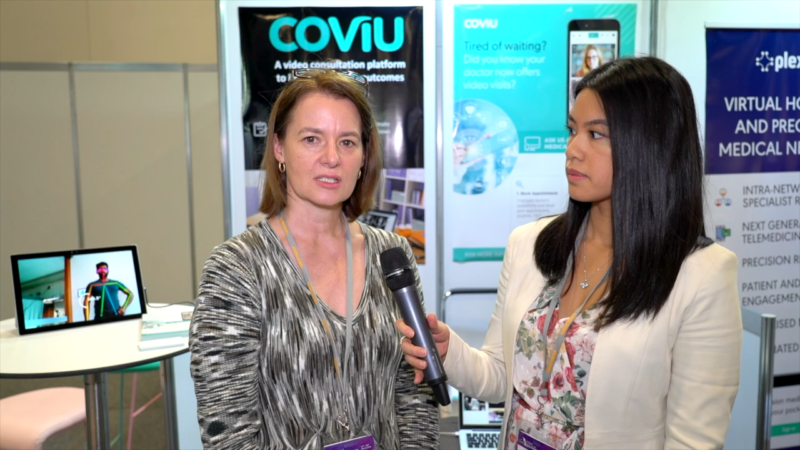 Michelle Fenwick, the Executive Director of Northern Health spoke with our reporter Anne Dao on the challenges of this urban growth over the past 3 years. By 2031 the region is expected to increase in population by 63%. Added to this is hiring and training the right workforce to align with the clinical care needs of people coming into the healthcare centres. 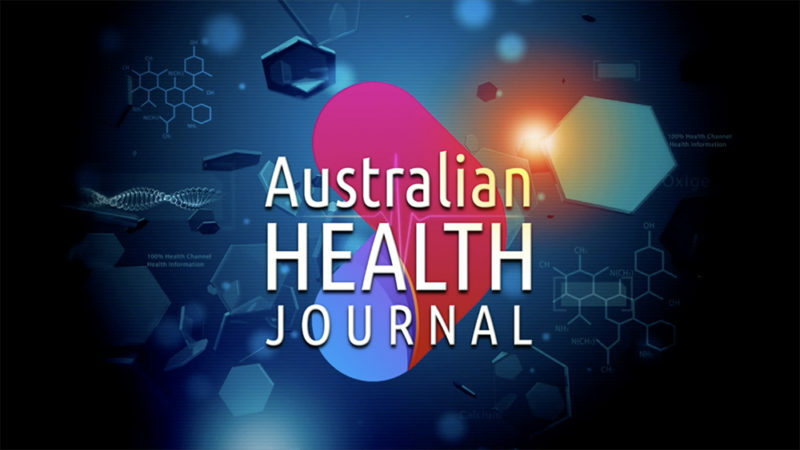 ARCS Australia Ltd is a national, membership-based organisation focused on the development and growth of the healthcare sector. ARCS provides education, career pathways, professional development and advocacy to the healthcare sector. 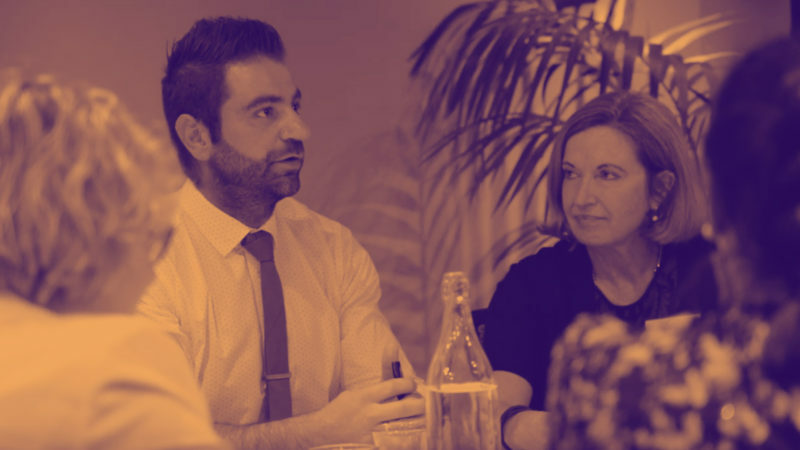 Our membership is made up of individuals working in regulatory affairs, clinical research, health economics, medical information and other disciplines who work in the development and quality use of therapeutic goods. ARCS members are based in industry, academia, medical research institutes, government, hospitals and patient groups. Through its members ARCS has a broad and effective reach throughout the healthcare sector, and provides a neutral forum to develop, agree and implement aligned policies and initiatives. 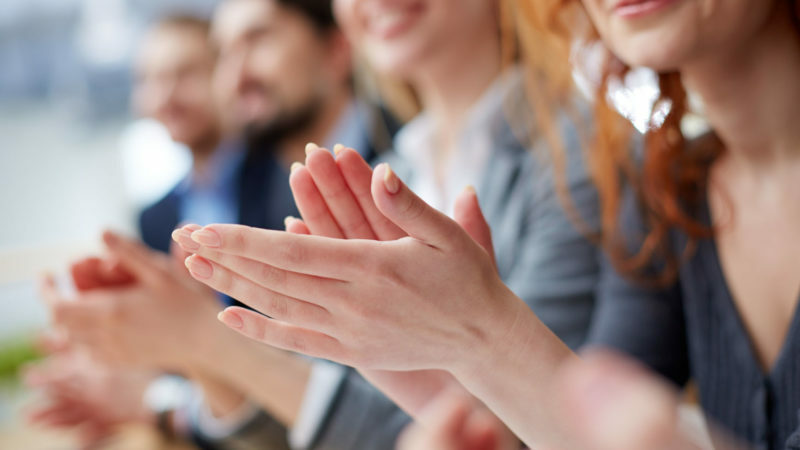 ARCS and its members are dedicated to improving the quality of life of healthcare consumers. 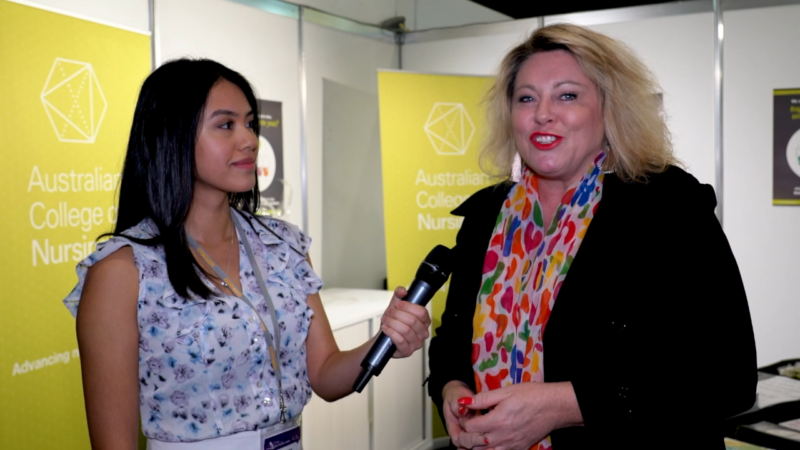 Kylie Ward, CEO Australian College of Nursing spoke with Anne Dao from Australian Health Journal, at last week’s Australian Healthcare Week Expo on the vital role of the nursing professional. Australian College of Nursing oversees 390,000 nurses in Australia and is the national leader in the nursing profession. Changes in nursing policy are needed in areas of aged care, chronic disease and workforce sustainability. There are forecasts of shortages in nursing by the year 2025 of 80,000 and by 2030 the number growing by 125,000. Kylie also mentioned the new Nursing Trailbrazers Award that has been recognised by Federal Health Minister, Greg Hunt. The 4 finalists have been recognised for influencing models of care, and implementing game changing initiatives across the country. They will be presented at the Nursing Now Australia event held by the ACN on 9th April. TMS (Transcranial Magnetic Stimulation) is a mild form of brain stimulation. Magnetic fields, generated by a coil placed on the head, are used to stimulate a small area of the brain. It is a non-invasive procedure that treats the symptoms of depression through the use of magnetic fields that stimulate nerve cells. The stimulation takes 20-30 minutes and given on an outpatient basis. While receiving stimulation, the patient is fully awake. It can be use to treat patients who have little success with common treatments e.g., medication, psycho-therapy. 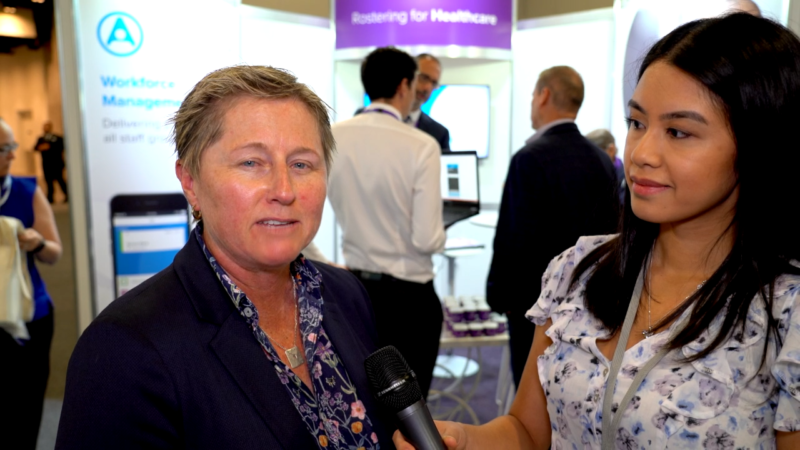 Shanny Dyer, CEO ARCS Australia talks about a recent summit where the CRO (Contract Research Organization) community was asked on the current state of clinical trials in Australia. 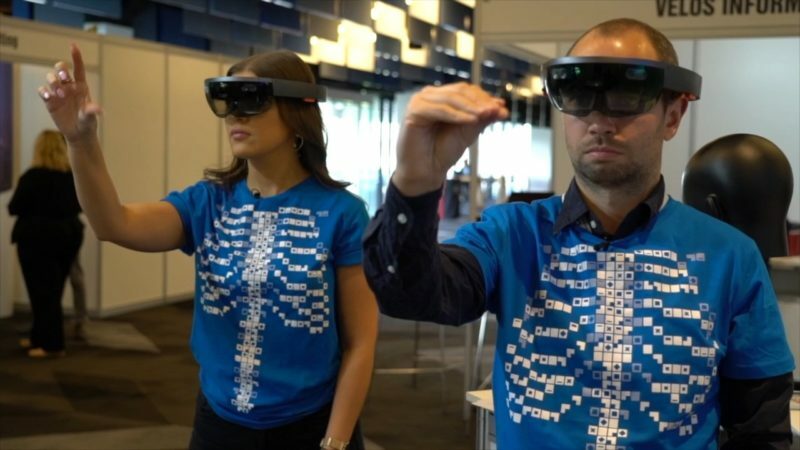 Profiling “Inside MS” for trainee doctors understanding MRI data. 10 Year anniversary of the TAVI heart procedure. White Coats Foundation also talk about clinical trials. 2018 marks the 10 year anniversary of the TAVI device, short for the Transcatheter Aortic Valve Implantation. The TAVI system enables the replacement of a diseased aortic valve without open-heart surgery or surgical removal of the native valve. This minimally invasive surgical option reduces operating time and allows for a shortened recovery period for patients. 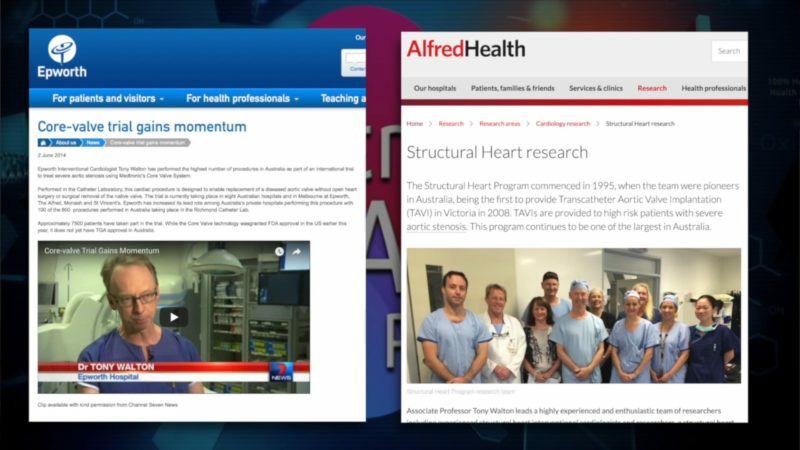 AHJ met with the cardiologist teams in Melbourne’s Epworth and Alfred Hospital who have involved in implanting the device over the past 10 years.